Here is a meal I made for a dinner last week. I made some adjustments to accommodate what I already had and to save time cooking when I get home from work. 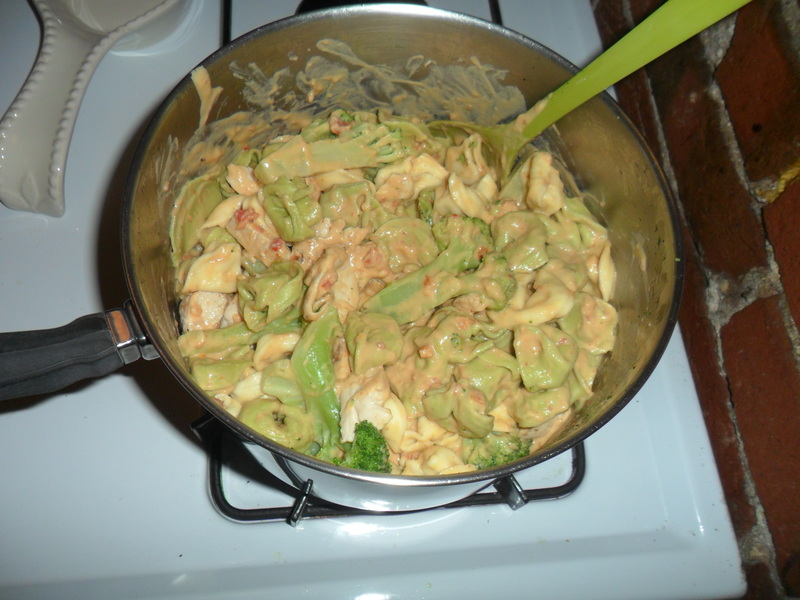 Here is the original recipe: Grilled Chicken and Tortellini. I used Classico Roasted Red Pepper Alfredo sauce. instead of blending roasted red peppers into plain alfredo sauce. I used the amount of breadcrumbs that the recipe called for, but it didn’t seem to be enough to look like the picture. Next time I might add more to make the dish a little crunchier. This was easy to make and there were left-overs for the next day’s lunch. 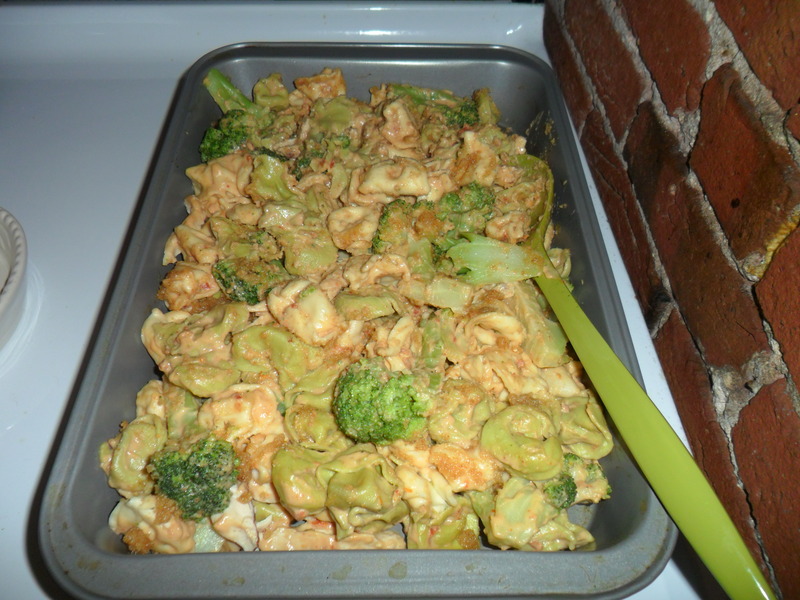 Do you have any tortellini recipes you like? Leave me a comment and share them with me! That looks amazing Maureen! 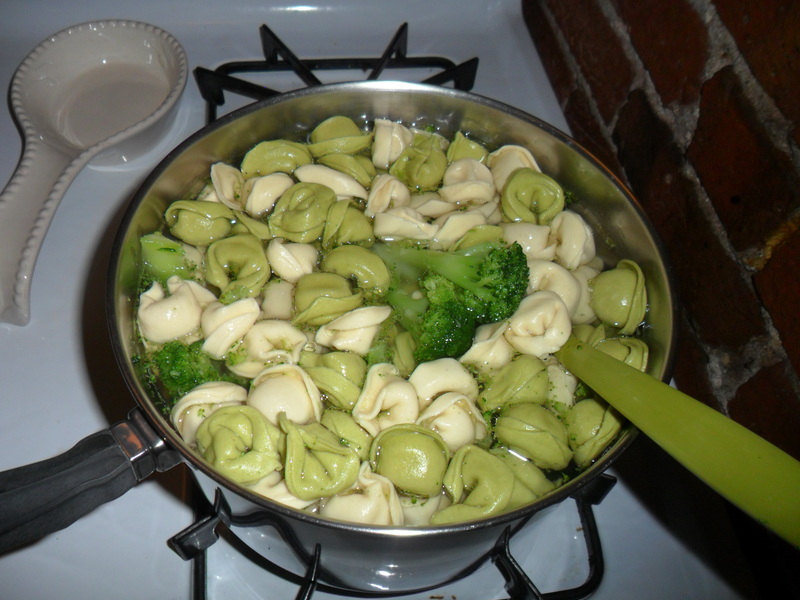 I love to make my ravs or tortellini with a Brown Butter Sauce. Just take one stick of butter in a saucepan and let it melt until it sizzles and turns golden brown. Add 5 big, whole Sage leaves, cinnamon and nutmeg and let it cook for 4 mins. Pour over your pasta and sprinkle with parmeggiano reggiano and I guarantee it will be delicious! It’s a perfect fall pasta dish, very warm and comforting. Thanks Cat – that’s sounds great – can’t wait to try it!